Retrograde – Perform a sequence in the reverse order. Or retrograde the arms, movement pattern or timing. Peel/Canon/Contagious – A canon in dance is when the same step is repeated by each dancer, one after each other, started at regular intervals. Perform yours side to side, front to back, one at a time, or go out of order. Or build – start with one dancer, add two, add four, etc. Manipulate Timing – Take a sequence and repeat it, but with different timing. For a controlled-chaos contemporary look in a group piece, have the dancers perform the same sequence, but each with their own timing, some frantically moving at double time, others slowly moving through the steps. Cross-art Inspiration – look at pieces of art, read a poem, listen to a different song. Find something about that piece of art that inspires you and create a movement sequence from that. Turn on another piece of music and choreograph a sequence. Return to your original music and manipulate the new sequence with that music. Non-Art Inspiration – similar to art-inspiration, analyze your choreography – are the movements natural? Then look at pictures or videos of nature, watch animals move, observe snow falling. Create a movement pattern from this. Is your choreography stiff and mechanical – look to machines for inspiration. Look at the world around you for things that move and imitate them with your body. 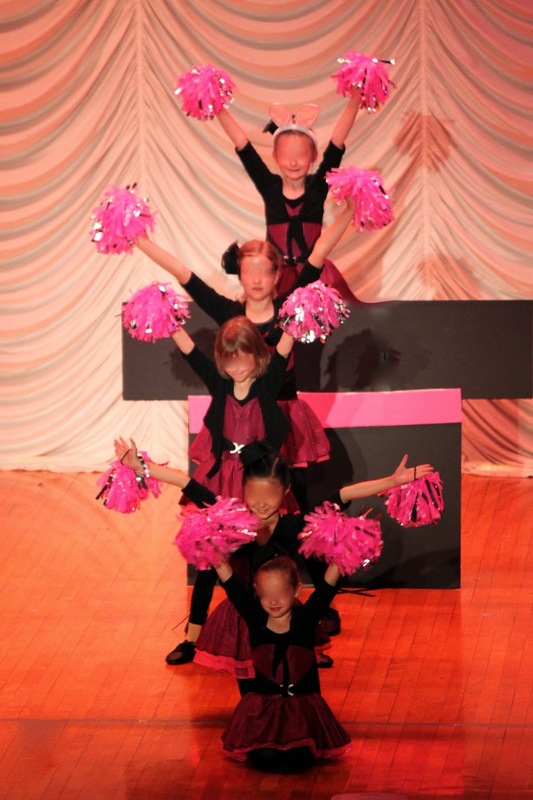 Group Work – let your dancers help in the creative process. If you are teaching children, they love to participate and make a dance “their own”. Give specific instructions and allow them to improv to the music. “Movements that are low to the ground and stay in one place” or “quick, sharp movements” are examples of structured improv directions. If possible, record their improv so you can play it back and isolate movements you like. If all else fails, walk away, do something else and then return to your choreography. Sometimes a block is really a block and you will ultimately be frustrated if you try to force out choreography. Need to Solve a Problem? Take a Shower! In a world of constant connection and interruption, the best place for your creative juices to flow may be the shower! Last week I realized that I kept discovering solutions to problems while taking a shower. In mid-shampoo, I realized that if I set-up registration in a certain way, it would eliminate hours of work for my office manager. The next day, I choreographed a brilliant combination for my tap class. The next – I got lost in imagining new lifts for my dancers to try. Why were these moments of brilliance isolated to the shower? No ringing phones, no email notifications or text messages. I was on my own, free to let my mind wander without consequence. This is apparently not isolated to me – Ismene Brown writes an article about a ballet conceived in a bathtub (theartsdesk.com), Steve Palina discusses his process for exploring creativity, and Wikipedia defines this state of mind. The ten or fifteen minutes of creative energy I experienced is often referred to as “creative flow”. It is that period where ideas are free-flowing and you are so involved in the task at hand that you can tune out the world. Choreographers or dance teachers, this may sound familiar: have you ever been driving while a song comes on and you don’t just hear the song, you SEE the choreography. Your mind is in its creative flow. So, the next time you need to solve a problem, create some choreography or find inspiration – “unplug” from the world. Go for a walk (WITHOUT the ipod or phone! ), take a long bath or just sit in your favorite room with the TV off. Find your flow. The next problem – remembering your ideas once you get out of the shower! For more dance news – search our archives. Dance in Unusual Places | Telegraph UK <– GREAT photos!